We’ve been meaning to go along to Big Fish Little Fish for a while and finally this weekend we went! We’d had a little taste of how fabulous it was going to be when we went along to the free Big Fish Little Fish event they held at The Southbank Centre as part of the Imagine Festival. 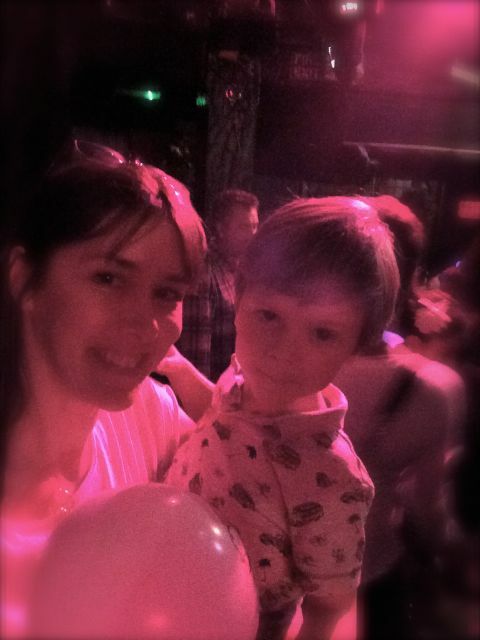 We loved it and I knew that I wanted to go to one of the monthly events at The Bedford in Balham and I did a little dance around the room when Natasha invited us to come along as a family and see what it’s all about! The event runs from 2 – 4.30pm on a Sunday afternoon and is only a 5 minute walk from the train station, and the journey from our house is half an hour – perfect – no driving required. We went along with our best friends and their kids, who had also come to the Southbank before and loved it. 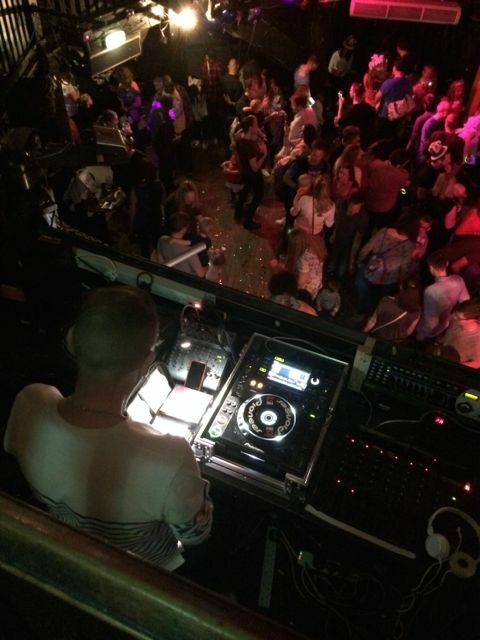 We already knew that the event was a sell out but rather wonderfully that didn’t mean that it was filled up to capacity – there was still plenty of space to move around, on the dance floor and in the upstairs craft room and chill out rooms. On arrival the kids were given a glow stick each and then they hit the craft room, the theme was Mad Hatter's Party and Captain Cookie, the resident craft person had all the materials a kid would need to make a Mad hatter hat. It was genius! 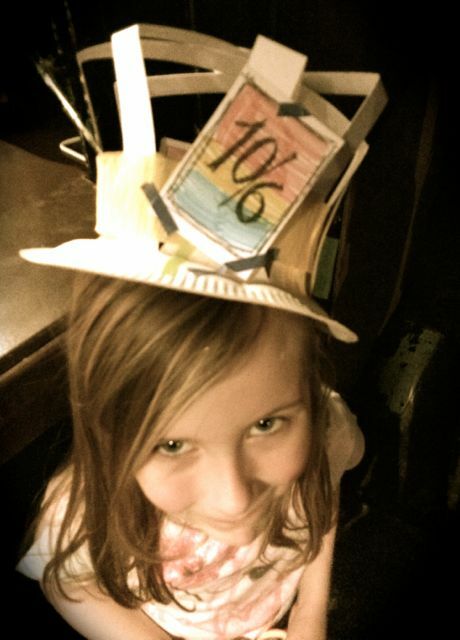 And it was all laid out so that the kids could adorn their hats with any extras, like playing cards and streamers. Isla got stuck in and I couldn’t resist being involved too. 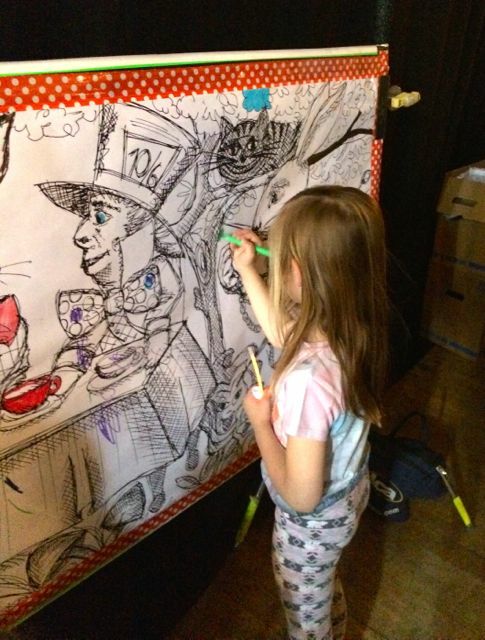 There was also a fabulous Alice in Wonderland mural for the kids to all colour in and add to, you could even buy a copy of it to take away to use at a party of your own – such a great idea! Also in the room was face painting and temporary tattoos, all included in the ticket price, which is something I really appreciate as so many places you go, you have to pay for a ticket then everything else is extra. 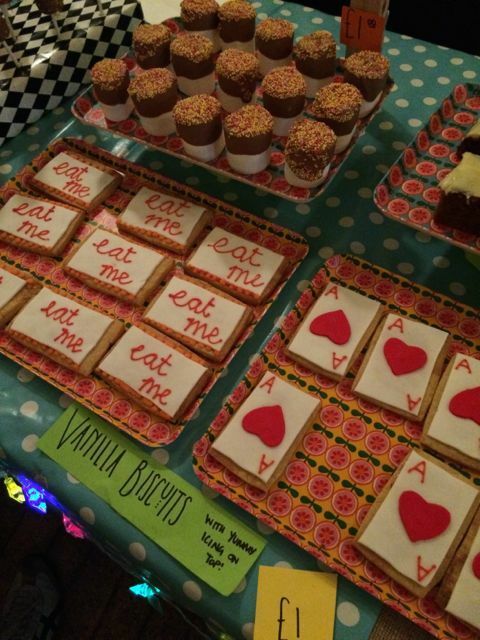 There were some great little biscuits and cake you could buy that were in keeping with the Alice theme. Once the kids had finished getting their craft on, we went downstairs for a dance and it was so nice hearing music that I used to love and dance to when I was clubbing in the 90’s! I love new music as well but there is nothing like a trip down memory lane and a bit of nostalgia. It’s a nice reminder that there was life before kids and gave me the feeling that it’s possible to go and dance with your kids. Hearing Raze - 'Break for Love' and Groove Armada brought me so much happiness. The venue felt really safe for the kids, although I'm not yet comfortable with the older ones (aged 6) going off on their own quite yet, even though it was a small enough place. 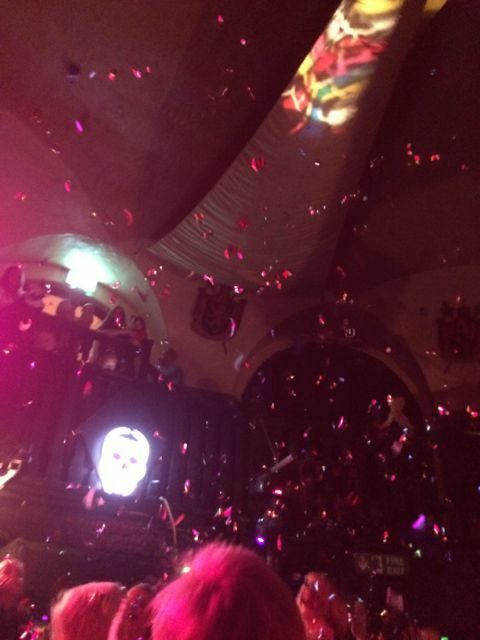 Every now and then there would be bubbles and confetti bombs going off and towards the end of the event the parachute came out and everyone piled underneath it. My favourite memories of Sunday afternoon were dancing with Isla to Neneh Cherry's Buffalo Stance. Such a classic song and a reminder that before kids I LOVED music and I need to start sharing the music I love with them more. And also lifting Noah up to pop the bubbles as they came down from above. At the end the kids were given a box of Bear Nibbles and a Happy Monkey Smoothie which was such a lovely touch and we went on our way, slightly sweaty and after being in a dimly lit pub for the past two hours, marvelling that it was daylight outside (something that if you went clubbing back in the day you would also marvel about at 6am outside Leisure Lounge or Ministry of Sound!). I'm personally getting very excited about getting my Big Fish Little Fish fix at Camp Bestival in the summer and I'm considering a CB warm up at one of the three events BFLF are holding in the run up to the festival. We were given free family entry to Big Fish Little Fish. That seemed like a very fun time! Really cool pictures!